A man in his 50s turned himself in peacefully around 1:30 a.m. Saturday. He was taken to a hospital to be examined by doctors before being met by investigators. Panic button inside business alerted police to situation at 4:50 p.m. 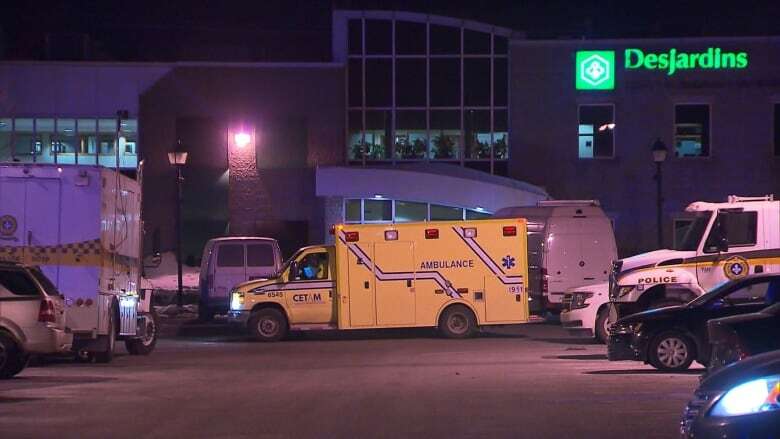 The man, who is in his 50s and lives in the Salaberry-de-Valleyfield area, turned himself in peacefully around 1:30 a.m. Saturday. He was taken to a hospital to be examined by doctors and was released Saturday afternoon. He is now meeting with investigators and police expect he will be charged with forceable confinement, uttering threats and weapons charges. Police confirmed he was armed, but would not say what type of weapon he had in his possession.